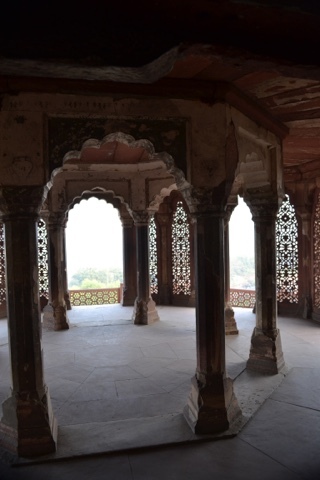 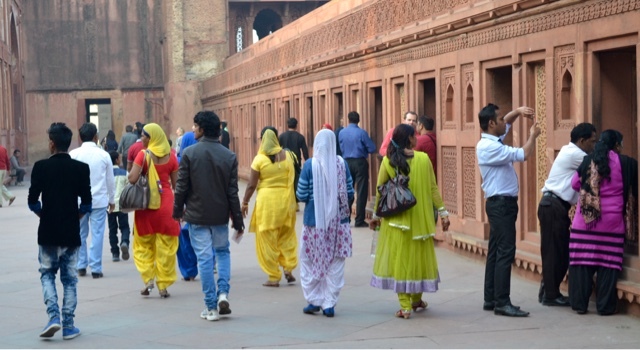 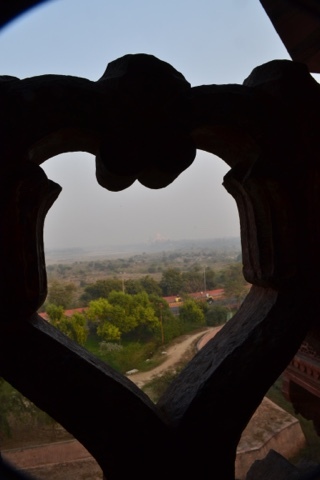 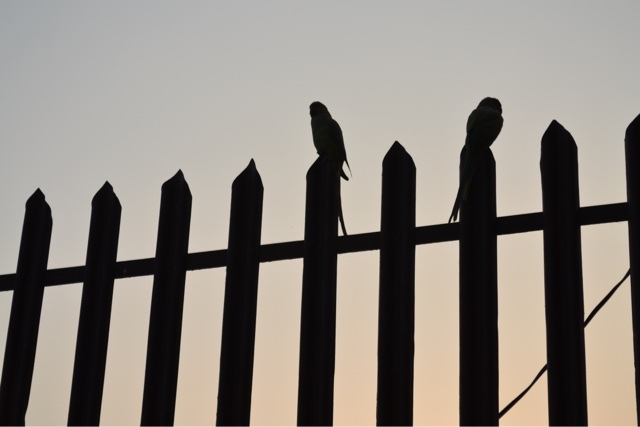 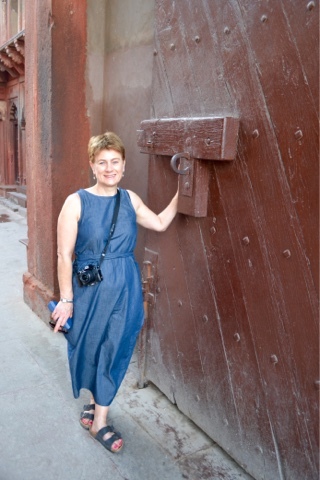 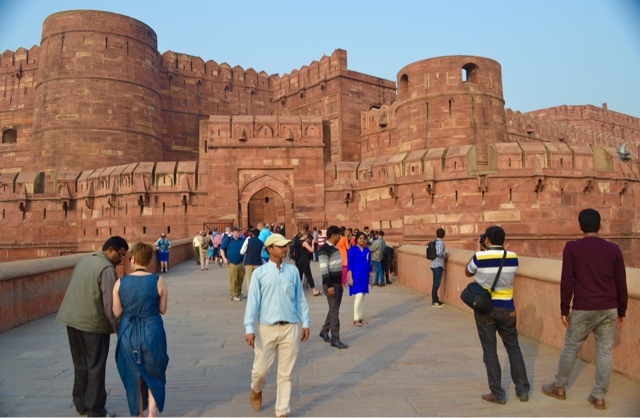 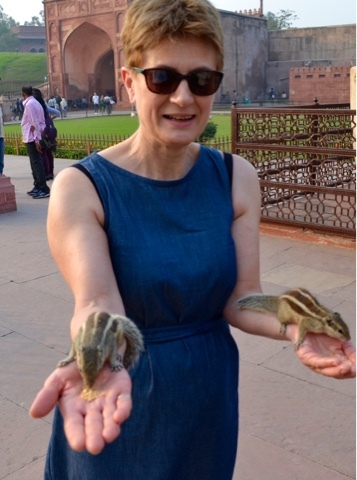 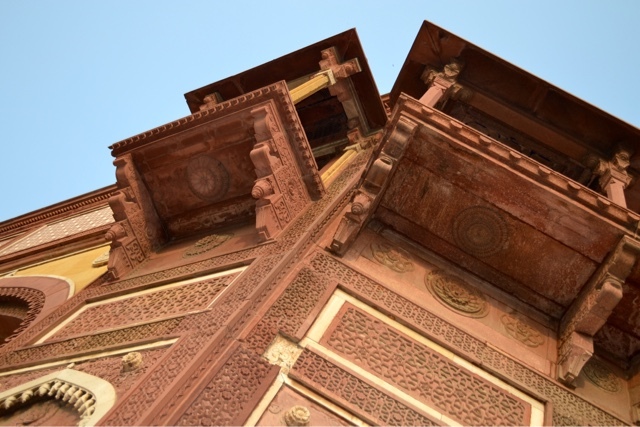 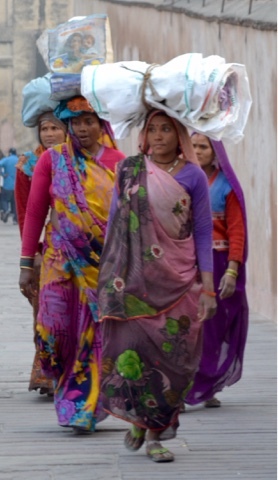 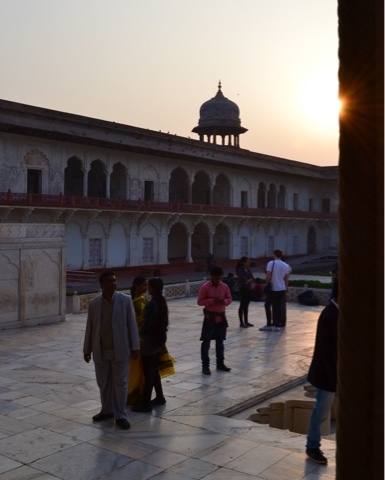 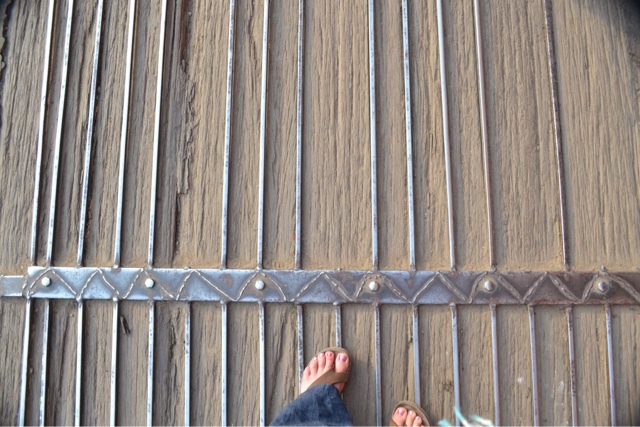 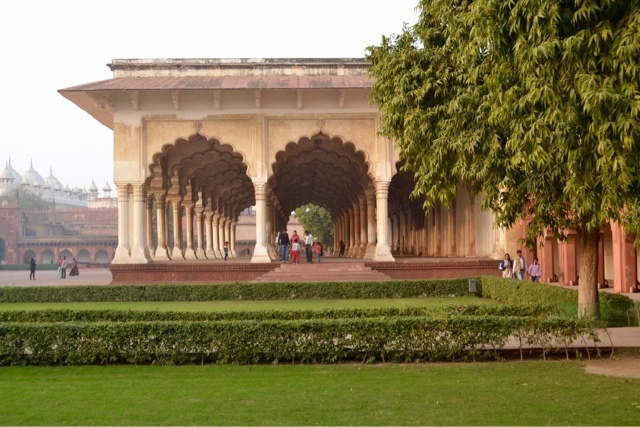 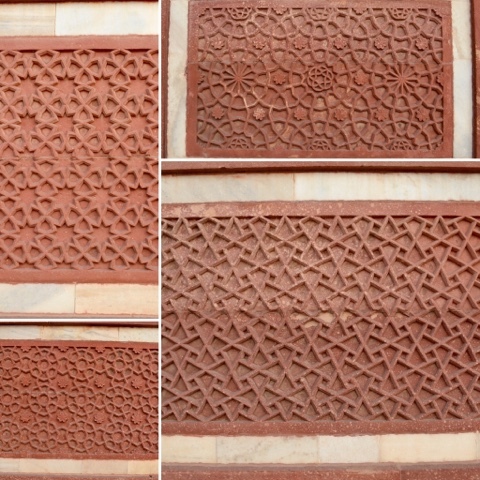 Inspiration: Agra part 2: Crafts and the Red Fort. 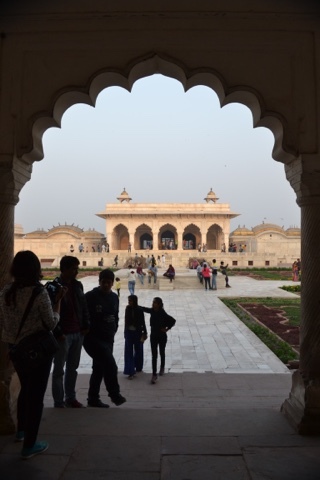 The next stop in Agra were some craft collective workshops, where we could see a demonstration of precious stone inlay work and embroidered textiles (just before the hard sell!). 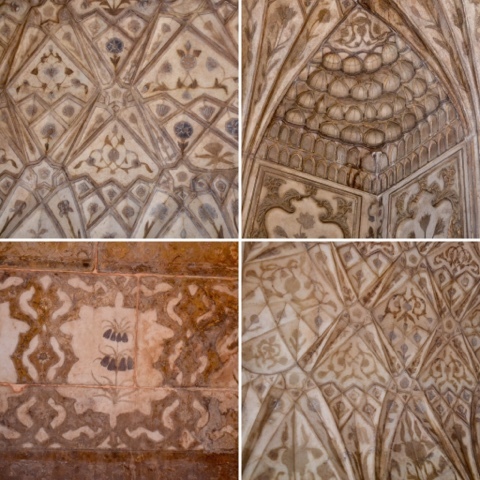 Hard white marble from the hills near Ajmer is inlaid with lapis lazuli, carborundum, mother of pearl, jasper, agate, malachite, black onyx and turquoise. 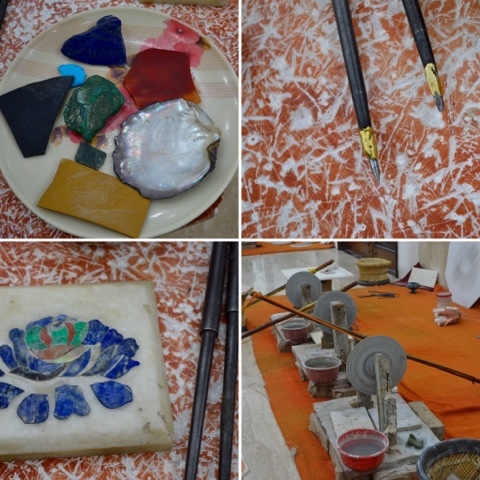 The stones are cut finely and the marble incised to take the shapes using just these two tools. 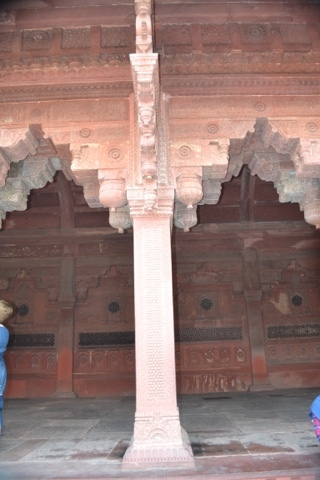 The red colour is a temporary coating which allows the design to be seen. 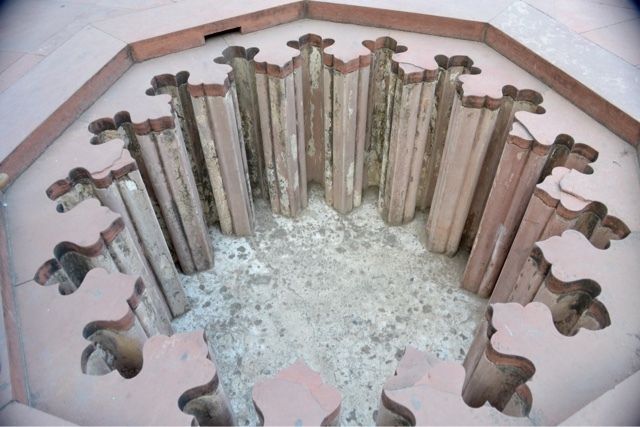 Finally the design is laid out and cemented in place piece by piece and the piece is polished smooth. 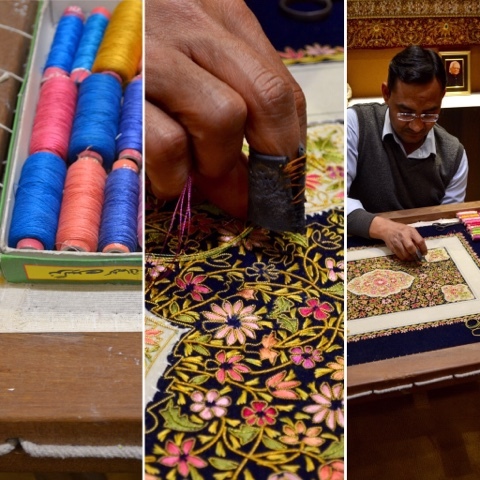 In the textile emporium this man was doing very fine silk embroidery with couched gold-work on velvet. 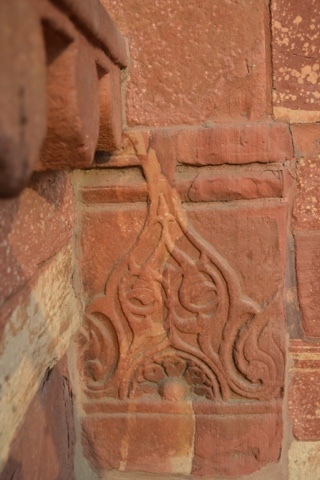 Their speciality was incorporating jewels into the work, each of which had a particular meaning. 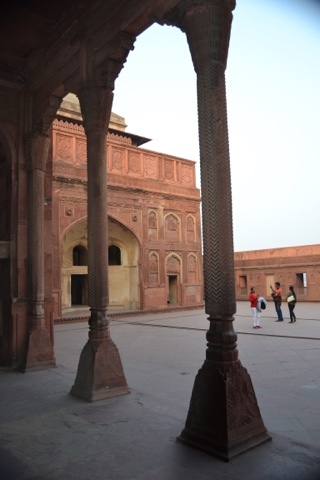 was the Red Fort. 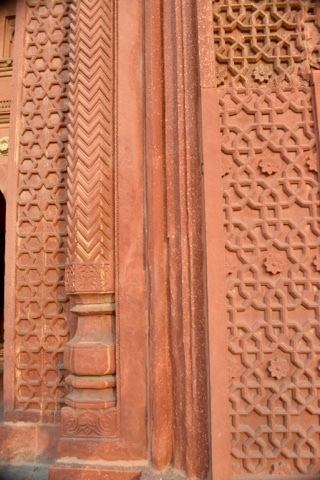 Our guide had timed our visit so that the afternoon light enhanced the red sandstone walls. 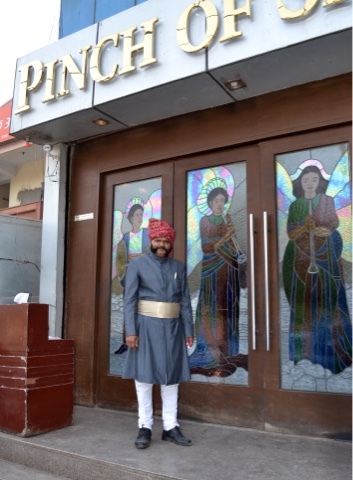 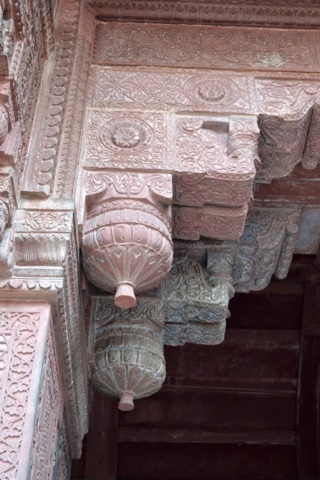 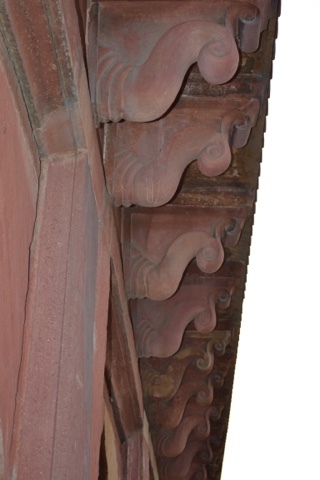 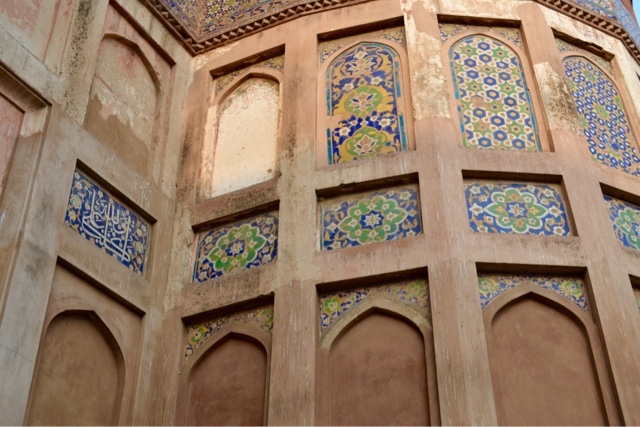 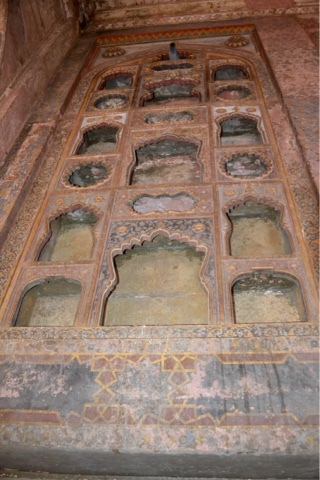 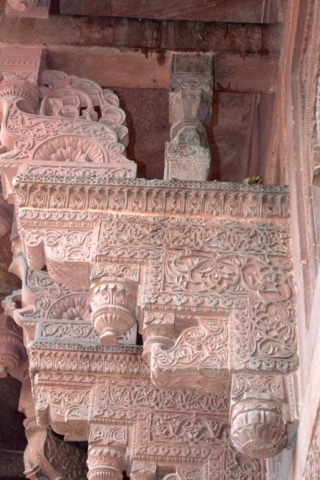 and inside it seemed that every inch of the walls and ceilings had been intricately carved or painted. 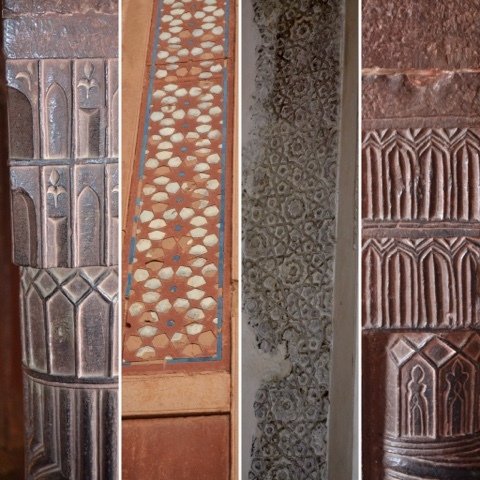 Tiled and painted panels about to be restored just inside the gate. 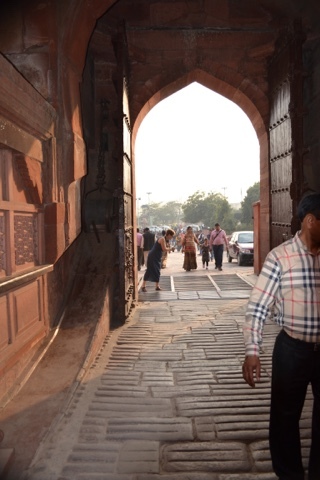 The Red Fort was built by the Mughal Emperor Akbar in the 1560s and was added to by his grandson Emperor Shah Jehan to make it a palace, and from here he could see across the valley to the Taj Mahal where his third wife was ultimately buried. 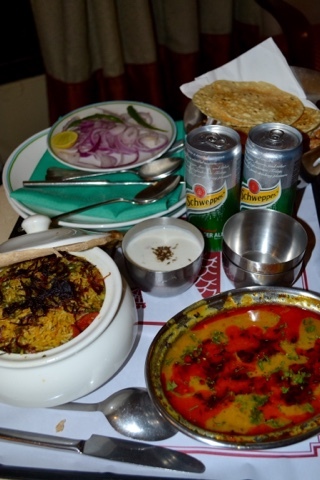 So that was the end of our day - just a drive through Agra's busy traffic back to our hotel for dinner and a rest - so tired we opted for room service dinner: vegetable biryani with dal and naan, washed down with ginger ale! 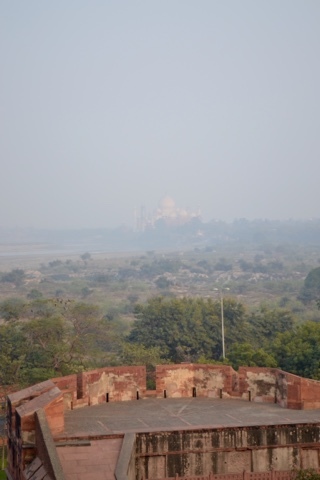 Very nice it was too!